In a beautiful position on the Bouzanne River, Le Moulin du Pont cottages are the perfect place for fishing, boating, nature watching or just plain relaxing with a good book and a glass of the local wine. Being on the outskirts of the Brenne Natural park also makes them an ideal base from which to explore on foot, by bicycle or by car. 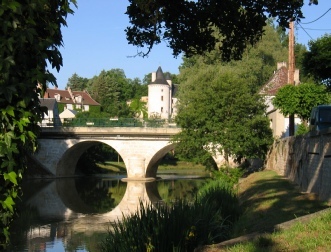 Situated 5 km from Argenton sur Creuse in the department of Indre, Le Moulin du Pont offers three holiday cottages, two of which are on the river. On the outskirts of a small village they are still close enough to be able to stroll to the baker’s or village shop. The mill island is a great place to catch a glimpse of the kingfisher as it zooms past or watch the antics of the red squirrels as they chase each other through the trees. Children young and old can have fun playing “Swallows and Amazons”, building dens or messing about in the boats. 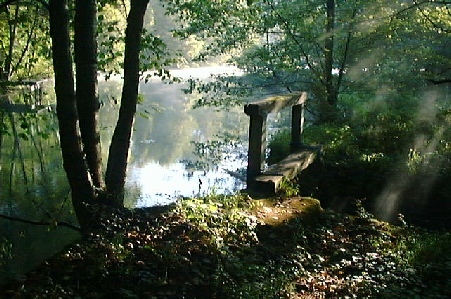 Le Moulin du Pont , 4 Chemin des Carrieres , Le Pont Chretien , 36800 , France .